The operating system Android is often criticized because of the presence of different viruses and vulnerabilities, which now and then steal data from phones or performs other harmful actions. But if you adhere to these six simple rules, you can make your phone a lot safer. The most obvious security issue is a weak password, which can be easily cracked manually or with the help of special software. To prevent this from happening, you need to use complex passwords that are problematic to crack by selection and that do not contain any of these data: year of birth, names. The password must contain capital letters, small letters, numbers, and possibly special characters. The length must be at least 10 characters. And, of course, it must be a unique password - it is inadmissible to use the same password for different sites, services, and programs. Generating this kind of password is easy enough with the help of a password manager like KeePass. 2. Do not Root unless you know what you are doing and if it's absolutely necessary. Yes! Rooting your device does give you full access to all the "dark alleys" of the Android operating system. Initially, the device does not have these rights and the kernel of the system is securely protected. But there is a certain group of users who want to control their device 100%. Usually, these are advanced users and they know why they need to Root. If you do not relate yourself to this category of users, it is better to refrain from rooting your device. 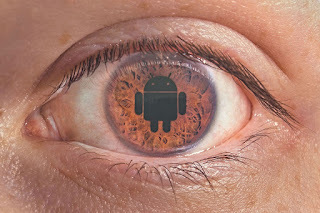 One of the common causes of infection of Android-devices is the installation of programs from APK-files of dubious origin, which were downloaded from obscure sites. Not all app stores are the same, and especially third-party vendors can run the risk of infecting your device with malware. It is highly recommended to disable the ability to install programs from external APK-files and install programs only from the official Google Play store. This largely protects the devices. If you do not like Google Play, you do have the option of downloading apps from alternative sources but choose the ones which you truly trust and which have good rating history and reviews by other users. When installing any Android applications, information is displayed about your data that the application can process. Some applications need some data for obvious reasons, while others require permission to use it without really knowing why. Let's say if you are installing a photo editing software and it wants to have access to your camera and gallery (to select pictures) then it would make sense. But if it also wants to have access to your phone contacts and messages then a question arises, WHY? The idea here is to realize that these data will be accessible to the application that can do what it wants. This is why it is advised to avoid installing such applications unless and until you truly need them or if you truly trust the application. Among the incredible variety of programs in the Google Play store are special, which are marked with a special icon. It means that the application developer is reliable, its products can be used. But not all good developers have such an icon. A sign of a good application is also a large number of downloads and user evaluations. If the program was installed by a small number of users, it is better to refrain from installing such a program and look for something more popular. If the program has been downloaded by millions or even hundreds of thousands of people, then this is a clear sign of a good program that you can trust. Google offers to automatically update downloaded apps from Google Play, one of the recommendations I make to you. Developers and publishers regularly push updates, and some of them make corrections. Regarding OS updates, this is a sensitive topic on Android. The updates that will be offered to you vary according to several factors, depending on your model, the manufacturer's policy on this subject, as well as that of mobile operators. Check regularly the availability of system updates and if there is any - do install it.